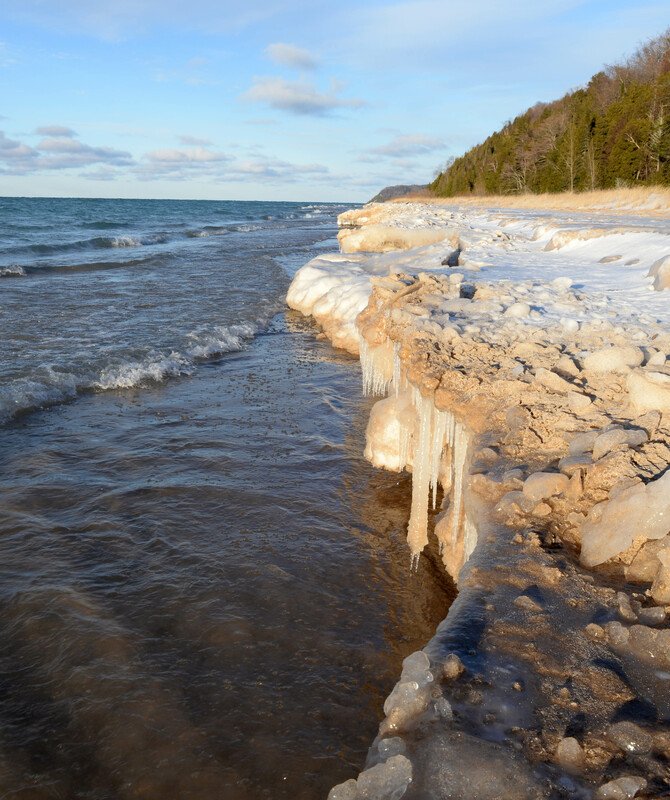 Who controls the Great Lakes shorelines and their tributary rivers? How much access do you have? This essay by Dave Dempsey offers some answers. After 35 years of working on environmental policy, I should know a lot more than I do about some things. Like what rights the public has to the shoreline. When I moved to a cottage not far from the shore of Lake Huron, I was circumspect about walking what I considered the neighbors’ beaches. I knew I had some rights to pass along the water’s edge but I wasn’t confident enough in my knowledge to act on it. Instead of looking up the answer in an authoritative guide I acted the part of the sheep and looked around to see what others did. A neighbor just hoofed the beach with his dog Mojo pretty much anywhere he wanted. A local resident I met said the public had rights to the first 10 feet and that’s where she walked. Private property owners don’t always like it, but no one can privatize the land beneath the Lakes – whether that land is perpetually or only occasionally underwater, whether it has no human-made structures or twin pipelines carrying 23 million gallons a day of petroleum. Interestingly, or perversely, Ohio courts say the right only extends to what is submerged or at least wet at a given time; so there you may have to keep one foot in the water. To be sure, I asked Jim Olson, a well-known environmental attorney and my colleague at FLOW, and he told me what I knew but hadn’t quite connected to the linchpin of my master’s thesis, the public trust doctrine. The doctrine dates to the times of Roman emperor Justinian, and has been a part of English common law and our U.S. democracy for centuries. Under Roman law, the public’s right to use common resources like the waters and surrounding shores was paramount. “By the law of nature these things are common to mankind, the air, running water, the sea, and consequently the shores of the sea.” Handed down through the centuries, that simple principle persists – and it imposes a duty on government, as trustee, to protect those uses from impairment. Olson also told me that in 2005 the Michigan Supreme Court ruled in favor of the public’s right to shoreline access, surprising observers of that conservative court and displeasing lakefront property owners. Here’s another, very important point. The implications of the public trust doctrine flow upstream. The Great Lakes would be only so-so lakes without their tributaries. 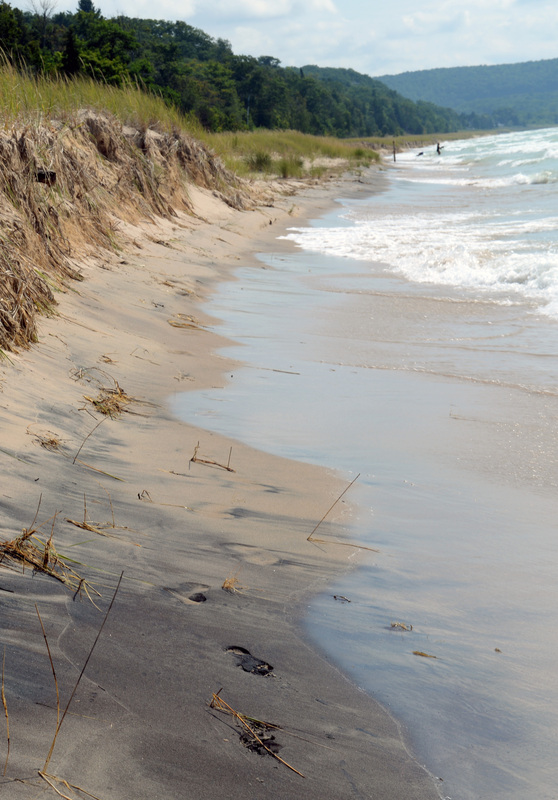 The rivers and streams that feed the Great Lakes are also public. To the extent water can be owned it is owned by the state as sovereign—meaning for the people. And as long as a stream or lake is navigable, you, me, and 10 million other Michiganders, not only can access it without seeking permission – we (collectively) own it and can use and enjoy it. I’m not sanguine that this right of passage will endure intact. The lushly-endowed private property rights lobby could influence the courts to narrow the application of the doctrine, whose survival should be foolproof. But when I asked Jim Olson about this, he told me that according to the highest courts in the land, the public trust can’t be revoked by any of our branches of government. And what is the “ordinary high-water mark” that divides private from public? The Michigan Supreme Court gave close to a “you’ll know it when you see it” definition. 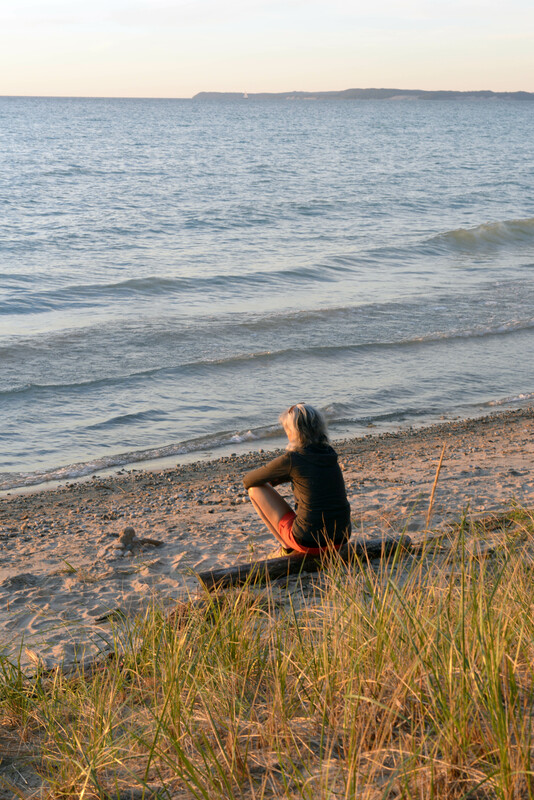 It is “the point on the bank or the shore where the presence or action [of the water] is so continuous as to leave a distinct mark.” Because Great Lakes water levels naturally fluctuate approximately 6 feet, the amount of dry land available for public access will vary from narrow to wide. Undoubtedly there will be more litigation on where to draw this high water mark. I do, however, walk the beach with greater confidence now, knowing that an enduring feature of common law provides protection. As owners of these precious resources, our task is to remind government of its solemn duty – to protect the public trust on our behalf. 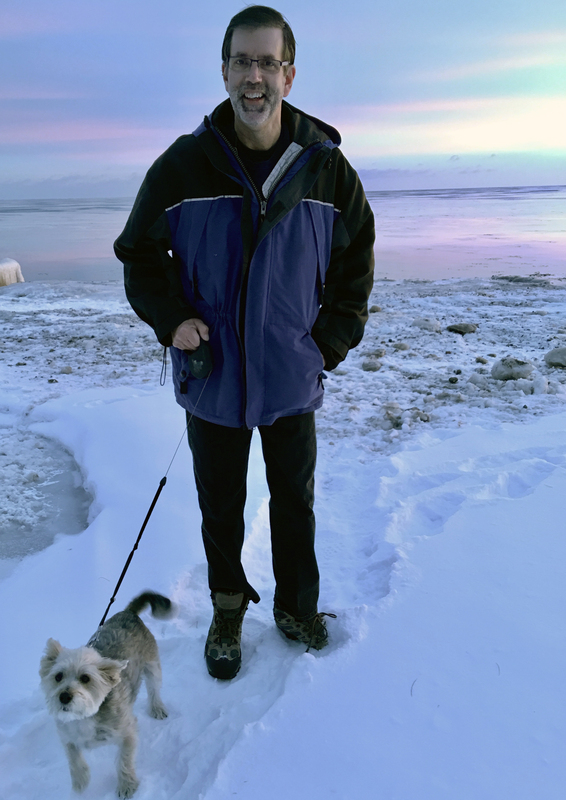 Dave Dempsey is the author of numerous books concerning the natural resources and the people of Michigan. He is also Senior Adviser for FLOW – For Love of Water, a nonprofit organization based in Traverse City, Michigan. As both a “shore walker” and riparian owner, I welcome others to share the beauty and love of our precious resources. All I ask in return is that they respect both the natural resource and the rights to privacy of their neighbors. Very interesting. Can you speak to the issue of how close to the waters edge a property owner can legally build a structure. We have a situation in Torch Lake Twp that allowed someone to build a deck extending into the water. Without permits from either the state or DEQ. You would have to consult an expert in public trust law to get an authoritative answer. 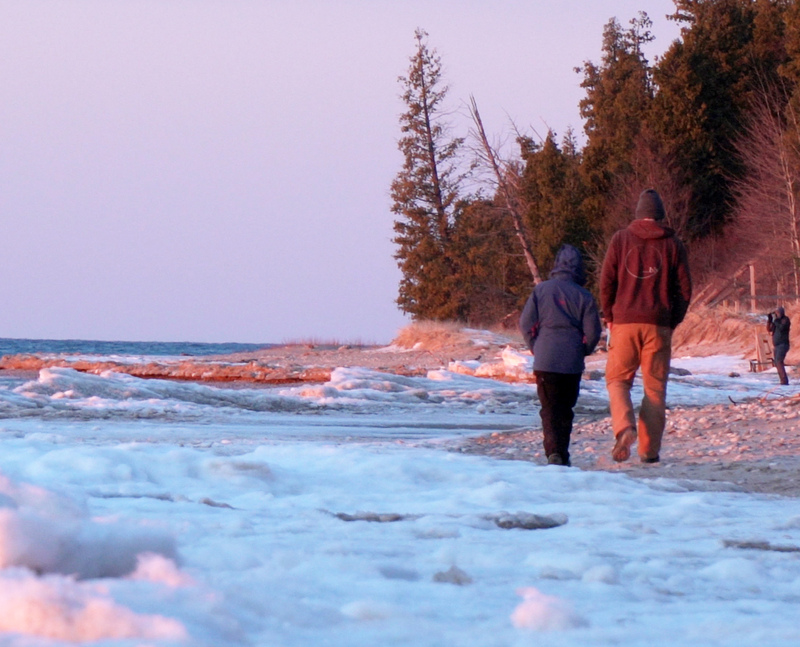 The right to walk along the shoreline is clear. Access to the lake for swimming and fishing is pretty clear. Beyond that, case law seems to vary. Common courtesy would suggest that one should not set up camp in that zone and make a nuisance of oneself. I would encourage beach walkers to show basic respect for property owners.